The Department of Health and Social Care (DHSC) is not doing enough to support a “sustainable” adult social care workforce and should produce a “robust national workforce strategy”, a review has found. The report by the National Audit Office (NAO), which scrutinises public spending, criticised the government’s failure to have an up-to-date workforce strategy which took account of major developments in the sector, including the Care Act 2014, and for its lack of oversight of workforce planning in local areas. It found there was no major workforce modelling or mapping of skills to support the government’s objective for greater integration between health and social care. Councils were wary of challenging providers about workforce development issues due to the pressures they faced, the report said, and few were directly addressing providers’ recruitment and retention problems. Although many people working in care say it is rewarding, the report found “widespread agreement that workers feel undervalued and there are limited opportunities for career progression, particularly compared with similar roles in health”. Amyas Morse, head of the National Audit Office, said: “Social care cannot continue as a Cinderella service – without a valued and rewarded workforce, adult social care cannot fulfil its crucial role of supporting elderly and vulnerable people in society. A spokesperson for the Department of Health and Social Care (DHSC) said it “recognises there are challenges in the social care workforce – that’s why we’ll soon launch a consultation on the adult social care workforce and are committed to publishing a health and care workforce strategy in the summer”. Health Education England (HEE) launched a consultation on the health and care sector workforce late last year which the NAO said was “short and lacking detail” in its coverage of the care sector. The DHSC and Skills for Care have now taken over the adult social care element of the consultation from HEE and have developed a set of consultation questions specific to the adult social care workforce that will go live soon. No evidence that the department is overseeing workforce planning by local authorities and health and care partnerships. Without a national strategy “few local areas have detailed plans for sustaining the care workforce”. No up-to-date care workforce strategy and roles and responsibilities of the bodies involved in delivering care are not clear. Its last workforce strategy was published in 2009 but is only available on the National Archives website. It gives responsibility to some organisations that no longer exist and has not been refreshed despite major changes such as the Care Act 2014. No published forecasts on the social care workforce since the disbanding of the Centre for Workforce Intelligence in 2016. The NAO recommended that the DHSC produces a “robust national workforce strategy” with the support of the Ministry of Housing, Communities and Local Government, and that it “encourages local and regional bodies to align their own plans to it”. It said the department “also needs to invest more to enable commissioners to set appropriate fees for providers, so they can pay staff adequately and afford to offer career development and training opportunities”. 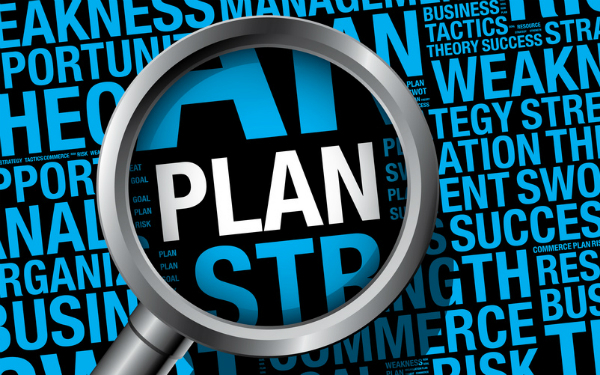 As well as national failings, the NAO said local and regional bodies and partnerships were “not taking the lead on workforce planning in the absence of a national strategy”. Under the Care Act 2014, councils must ensure services continuously improve and encourage a workforce that supports the local care market through standards, skills, qualifications and apprenticeships. In case studies, the NAO found that councils do this through contract arrangements with providers. But councils told the NAO that they were “cautious about challenging providers over their investment in workforce development”, due to pressures facing providers and the negative consequences if a provider left the local authority funded market. Few of a sample of 22 local authority market position statements, in which councils describe their activities to support local care markets, included “defined actions to address the issues that providers are experiencing with recruiting and retaining staff, or workforce development”. The turnover rate in adult social care, with most workers providing direct care to service users, reached 27.8% in 2016-17 compared with 23.1% four years earlier. The vacancy rate was 6.6%, more than double the national average despite a reduction from the peak of 7% the previous year. In addition, around half of care workers were paid £7.50 per hour or below (compared to the National Living Wage of £7.20 in 2016-17), equivalent to less than £15,000 per year. “This, along with tough working conditions and a poor image, prevents workers from joining and remaining in the sector,” the report said. The DHSC estimates the workforce will need to grow by 2.6% every year until 2035 due to increasing demand for care and complexity of needs. However, the NAO highlighted that annual growth in the number of jobs since 2013 had been 2% or lower. The NAO also said the DHSC was unable to “demonstrate that the sector is sustainably funded, which impacts workforce planning”. With local authorities spending 5.3% less on adult care in 2016-17 than in 2010-11, and further reductions expected, it said the social care market was “operating in challenging circumstances”, and care providers “are struggling to recruit and retain workers and are incurring additional costs as a result”. Meg Hillier MP, chair of Parliament’s Public Accounts Committee, said the report showed the social care workforce was in “a precarious state”. To date, the DHSC had “done little to help councils and providers prevent a looming workforce crisis”, she added. Councillor Izzi Seccombe, chairman of the Local Government Association’s community wellbeing board, said the “worrying” report reflected the “historic underfunding of social care which is putting severe pressure on the care workforce, the provider market and the availability of care”. Margaret Willcox, president of the Association of Directors of Adult Social Services (ADASS), said: “It is helpful that the report identifies that many people working in the sector find it rewarding, but if those same staff do not believe they are valued for the work they do, and believe there are limited opportunities for career progression, particularly compared with similar roles in health, there is a constant challenge of resulting high staff turnover, and difficulties with recruitment and retention. While this is well known and not news, I do welcome the further coverage of this issue and the discussion points from it. I would like to add this situation will only get worse with many councils still needing to save vast amounts of money for this years budget and next years. I would also add when ever I see the term a ‘Robust Plan’ I cringe as this is always said when there is clearly no simple measures to take and generally no practical idea how to make these changes. The government will not change their policy on reducing the role of central government, and the likelihood of vast amounts of funding becoming available is a ‘robust’ unlikelihood. James, I share your thoughts! When such ‘robust’ terms are used then you can be sure it is all ‘speak’. Councils and central government cannot really influence this sector if out of a total existing workforce of 1.34 million, they employ just 113,000, as such they can only turn the other cheek when things are not happening as they should. The situation with Carillon is a case to point at, contracting out your responsibility is only kicking the bucket down the road. It will still come back to hunt you! If it’s not directly connected to Brexit then the government is incapable of giving it any attention. Domestic policy is dead, long live Brexit. Local authorities are good at rewarding their own workers but parsimonious when it comes to independent providers. Liverpool for example awarded their own workforce the Living Wage Foundation rates of pay yet at the same time have based their contracts with providers on caters being paid at the National Living Wage.